The Best Backpack Sprayer There Is – Who Says That Spraying Has To Be Hard? Last time when I was writing about sprayers, I was focusing on that handheld. 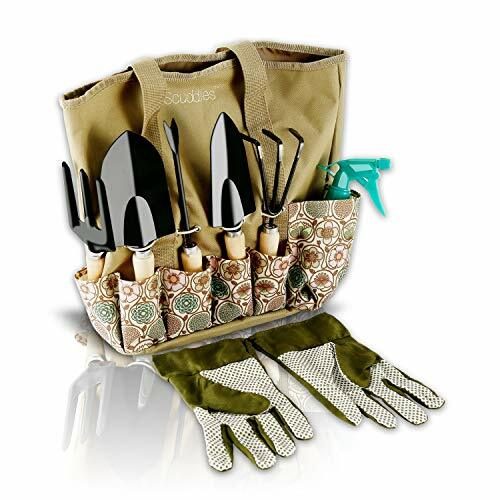 Although these are great accessories which are making all the work in the garden much more comfortable, I felt that things might get even better. Therefore, I took into consideration those sprayers which are carried as a backpack. Finally, the best backpack sprayer is here, so keep on reading to see which one is it. How To Know Which One Is The Best? To find out which one is the best, I had to set specific rules and regulations. Some of the critical factors were asserted, so that which shows as the best in most of the categories will be pronounced the winner. My rules and elements were as follows. To be honest, the material has perhaps the most important role when deciding the winner. The better the quality, the higher the price, and this is somewhat a rule. Of course, from time to time comes a product which is excellent but still affordable. This was my aim. The most sensitive parts of a sprayer include the tank, the wand, and the nozzle. The tank is always made of plastic, but this has to be a top-notch quality. The wand may be plastic as well as nozzles, but the best ones are featuring steel or aluminum wand and brass nozzle. The brass is especially important, because of its high resistance to wearing and tearing. The amount of liquid which can be stored within the tank also influenced the choice of the winner. Simply put, too much is not good, nor too little. If the tank is too big, you may tire rather soon, but you will take fewer trips to refill the tank. On the other hand, smaller ones are better for elder people because they are lighter, and the risk of fall and injuries are less. Another critical factor is the amount of force the sprayer can generate. Again, too much of it will be great for trees, because the stream will be higher, so no ladder will be required. But the high flow is not desirable for sensitive plants. The tanks must be sturdy enough to contain the pressure without bursting, and those sprayers which are sporting a pressure-release button are considered as the best. There are two ways in which the pressure within the tank can be generated. Both are good for certain situations, so depending on which one is yours, you can make a choice. Battery powered sprayers are as the name suggests, using the battery and a pump as a driving force to move the solution through. These are good because the lack of constant pumping reduces fatigue. On the other hand, hand-cranked ones are great because continual shaking keeps the mixture well-mingled; in this case settling of diluted material is less likely. Of course, one of the most important things which I have considered is how much money I will have to set aside, to buy it. In case that I have found a great model, with the price a bit higher than I have planned, I would buy it, because this is not a situation to spare every dime. With proper care, sprayer should last you at least a couple of years. Therefore, consider this as an investment, rather than expense. Without any further delay, here are the products which I have taken into consideration as the best of the available. Of course, take these merely as suggestions. Smith is one of the companies which built its name upon quality rather than on low prices and availability. This model from them is the best proof for such claims. The NL403 is a back-pack variety, hand-cranked sprayer and its tank has a volume of 4 gallons. Considering the weight of the 4 gallons of liquid, the container is made of quality and sturdy plastic and its harnessing system is more than comfortable. Instead of making a separate part for marking the level of liquid, the whole tank is semi-transparent, so it is easy to see how much there is in the tank. Also, the wand is made of stainless steel which was a lovely surprise. The nozzles are made of brass, and there are four included in the package, along with the spare parts. Changing nozzles was so flawless and natural that I haven’t even noticed. The power, along with the material is the best part of this sprayer. Fully pressurized it can eject the stream up to an incredible 30 feet! Its tank is well suited to sustain the pressure of 150 PSI, which is more than enough. Also, generating such force wasn’t an issue, since the crank is very comfortable for the hand and easy to use. I haven’t pushed it to the limit because there was no need. Its average usage already overshadowed the others. As for maintenance, it was too the walk in the park. I didn’t have to worry about debris entering the tank because of the pre-filter through which the liquid is poured. Also, a great thing to include is a one-way valve, which prevents spilling if the tank is turned upside down. At first sight, the price seemed outrageous. But, once I took into consideration the quality of the product, its metal parts, and overall reliability, it was clear that this is the best deal available. 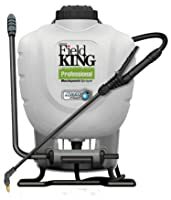 Another product from the same company, the Field King Professional 190328 is not good enough to grab the 1st place but is still quality enough to be featured as runner-up. The first thing noticeable about this model is the same volume as the winner; four gallons is a somewhere average volume which can be carried without worrying to be hurt. Also, the quality of plastic of which the tank is made is excellent, highly durable and semi-transparent. The harnessing system is slightly susceptible to wear-and-tear and is not sustainable enough, so after a while, I have felt slight discomfort. As for the pressure generated, it can spray the solution up to 20 feet in the air, which is still a useful feature. The downside is that this force will pass through the plastic wand, which is not durable as the stainless steel one is. Also, I have noticed that foaming nozzle might not work correctly, which might be the case just with me. Hand crank, on the other hand, is made of metal and coated with matted color which looks good and is not rough for the hand neither. Pressure is easy to generate, and paired with the durable tank can surely give its best. The maintenance was a piece of cake, since the mouth of the tank are reasonably broad, and there was no problem with washing it. Its shape, however, is a bit inconvenient, since it can slip from your hands if it is wet. Luckily, for this model, you don’t need to splash a fortune, because its price is very reasonable and affordable. However, I got the feeling that it should be a bit higher, with better quality. The first thing which I have noticed is that there is no hand crank. This device works on batteries, and it is its main advantage. Because of this, I was able to cover more surface without my shirt being soaked with sweat, and the space it occupies was considerably lower. The tank is durable and sturdy, and the measuring scale is transparent and easy to read. 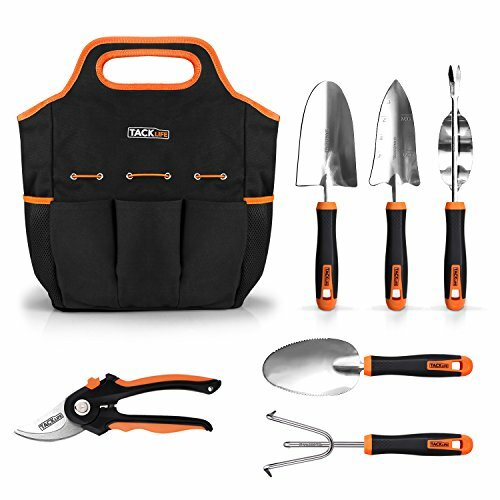 The tank is paired with heavy-duty straps with additional pockets, and this is an excellent feature. All of the parts (nozzles for example) can be put there and still be close at hand. As for the pump, it can generate the pressure of 60 PSI which is more than enough, but the battery delighted me. A whopping 8 hours of work before a recharge is needed is a huge advantage, so I was able to cover the whole field with just one charging. Maintenance may seem a bit difficult since the shape of the tank is slightly inconvenient, but the quality of plastic is such that no internal washing is needed; I had just to pour some water, shake it a bit, and spill it out. Of course, the price of this product is the highest of all featured, but considering how much it is gained, it is entirely understandable. It appears that 4-gallon tank is considered as a standard one since almost all of the products featured here are sporting the same volume. 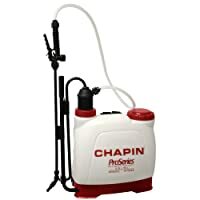 Still, Chapin 61500 is somewhat cheaper and thus useful for those who don't want to spend much money. The tank is durable, but it seems to me that the plastic should be a bit thicker. Of course, it won’t explode, but it would be nice to be sure. Still, this reduction is what makes it lighter a bit, so it is an advantage. Also, it sports separate pressure chamber, so I could refill it without losing the pressure. As for the wand, I didn’t like the quality of it; since it is made of plastic, along with the nozzles. I also have a feeling that the internal trigger mechanism is poorly made, and that it won’t be long before it breaks. On the other hand, the maintenance was quite comfortable, although I had to scrub it from the inside, it sports rounded shape, so it wasn’t such a big deal. Washing the nozzles was a bit more difficult, but I have managed to deal with it. 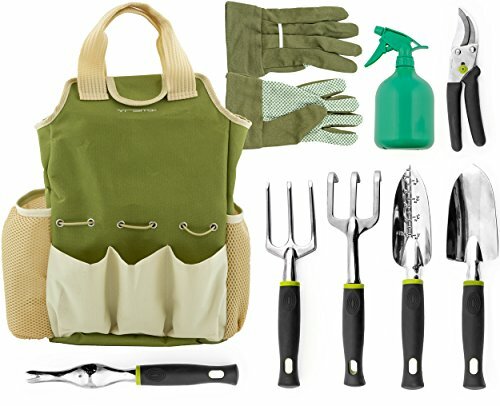 Understandably, the price is very low for this product, and as I said, it will be best used by people who don’t have many vegetables or doesn’t use the sprayer often. Another model from Chapin, 61850 is designed explicitly for spraying weeds. In case that you have a burning trouble with these pests, this is an excellent recommendation for you. 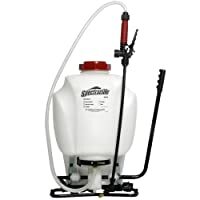 As other sprayers, this one as well has a 4-gallon tank, suitable for almost any group of users. The plastic is translucent but holds back UV light, so there is no danger that the Sun will alter the compound. Being semi-transparent is what makes the readings better and easier. This is a hand-powered model, and that puts him alongside the majority of similar. What sets it aside, however, is the specific design which makes it the best when spraying pesticide. It is not suitable for fertilizer spraying so that I wouldn’t recommend it for this work. As for the price, I believe that it should be lower, especially when the below-average quality of the straps is taken into consideration. I have found that the straps keep slipping aside and may disconnect from time to time. I believe that you will agree with me when I say that Smith Performance NL403 is the absolute winner. The best backpack sprayer must be reliable, well-made, easy and comfortable to use and to have a lower price than the competition. All of these were passed by NL403 with flying colors. In any case, if you have a question, suggestion or an idea, feel free to leave it in the comment section below.